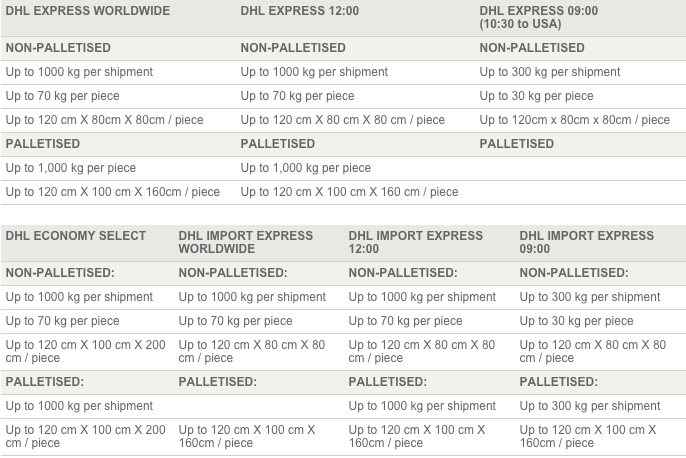 The following table shows the maximum weight and sizes, per shipment or piece, for each of our products. Sometimes you need to send large packages that use up a lot of space but weigh very little – a small but valuable item surrounded by lots of protective packaging, for example. In this instance, you need to work out the cost of your package using volumetric weight. Follow these steps to see if your package needs to be charged at volumetric weight rather than actual weight.